The Foundation for Landscape Studies is pleased to announce the winners of the 2013 John Brinckerhoff Jackson Book Prize for recently published books that have made significant contributions to the study and understanding of garden history and landscape studies. The winners are listed in alphabetical order. The garden suburb has its origins in London, and, contrary to widespread belief, its earliest phase took place not with the much discussed garden-city movement at the beginning of the twentieth century, but a century earlier, with the creation of the Eyre brothers’ villa estate in the London suburb of St. John’s Wood. 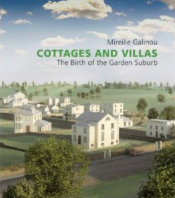 Drawing on the resources of the newly catalogued Eyre archive, Mireille Galinou describes how London acquired one of its most attractive and influential suburbs and how generations of the Eyre family shaped, fought over, lost, and revitalized their inheritance. Little did they know that they were making world history with their winning formula, which set the green-suburb agenda for middle classes around the world. Mireille Galinou is a freelance arts and museums consultant. She is the coauthor (with John Hayes) of London in Paint: Catalogue of Oil Paintings in the Collection of the Museum of London (1996). In 2004 she organized for the City of London a series of conferences on the artistic patronage of London’s merchants. Subsequently she edited City Merchants and the Arts 1670–1720 (2004). Modern-day London abounds with a multitude of gardens, enclosed by railings and surrounded by houses, which attest to the English love of nature. These green enclaves, known as squares, are among the most distinctive and admired features of the metropolis and are England’s greatest contribution to the development of European town planning and urban form. Traditionally inhabitants who overlooked these gated communal gardens paid for their maintenance and had special access to them. As such, they have long been synonymous with privilege, elegance, and prosperous metropolitan living. They epitomize the classical notion of rus in urbe, the integration of nature within the urban plan – a concept that continues to shape cities to this day. 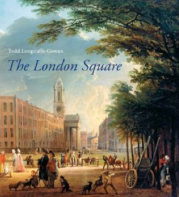 Todd Longstaffe-Gowan delves into the history, evolution, and social implications of squares, which have been an important element in the planning and expansion of London since the early seventeenth century. As an amenity that fosters health and well-being and a connection to the natural world, the square has played a crucial role in the development of the English capital. Todd Longstaffe-Gowan is a landscape architect and historian based in London. He is gardens adviser to the Royal Palaces, president of the London Parks and Gardens Trust, editor of The London Gardener, and the author of several books, including The London Town Garden 1700–1840 (2001) and The Gardens and Parks at Hampton Court Palace (2005). He recently redesigned the gardens of Kensington Palace in London to mark the Diamond Jubilee of Elizabeth II.